When speed of service matters, you need a high speed oven that truly delivers. 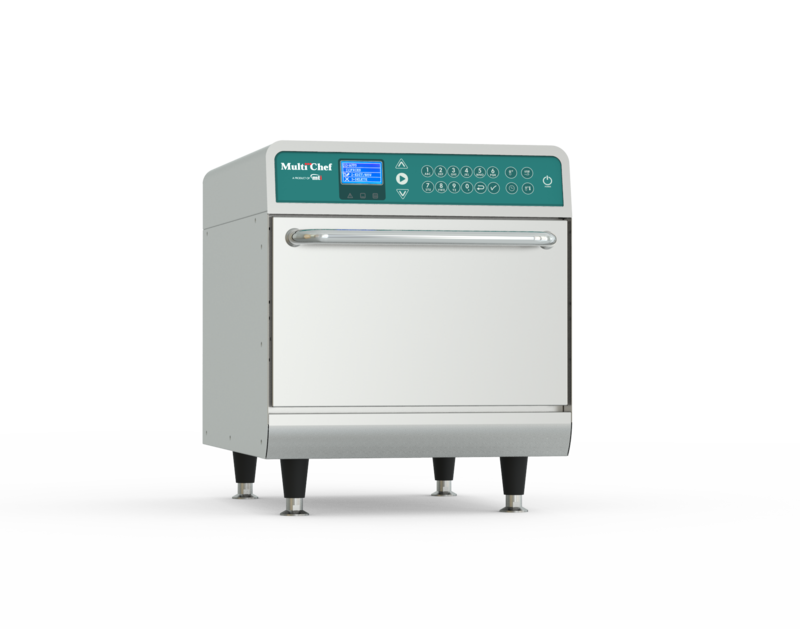 The NEW MultiChefXL uses convection, rapid impinged air, bottom infrared, and precision microwave to reduce cook times, transforming your business into a food preparation powerhouse. Using MultiChef is easy, regardless of kitchen knowledge level. Simply add your food to the cook chamber, select one of 80 presets or enter in a manual timer, and press start! MultiChef will take care of the rest. When the timer is complete, MultiChef will allow you to check on your food and either take it out to serve or add another 10-30 seconds of cook time, should your food need a little extra time! Both quick-serve and full-service dining establishments appreciate the small footprint of this powerful and highly versatile high speed oven. Best of all, no hoods or venting means you can serve up an entire menu without the need of expensive renovations to your kitchen or food prep area, allowing you to transform your bottom line – not your business model.